Rural Kansas Tourism | Iola Event: Santa House, Trolley & Kiwanis Train Rides and more! 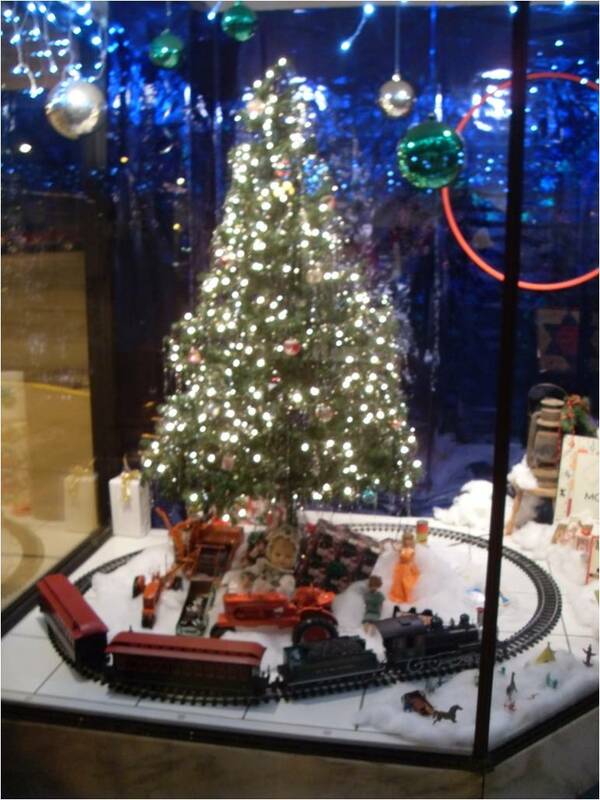 Santa House, Trolley & Kiwanis Train Rides and more! Come see the sweetest little home in Southeast Kansas! Santa's house is brought to the southeast corner of the Iola square each year so that Santa may come and visit with the area children before Christmas! Santa is in his house every Thursday evening from 5:30 - 7 p.m. starting November 29th until December 20, the last Thursday in December before Christmas! In his warm and cozy house you will hear Christmas music playing softly while you visit with dear Old Saint Nick! There is a working fireplace, a bright and shiny Christmas Tree and Mrs Claus or one of Santa's elves available to help you through the house. There are plenty of photo opportunities with Santa or, if you would rather you can take your children outside of his home and get pictures in his sleigh that is parked with his reindeer, inclu ding Rudoph! The local Iola Kiwanis Club is on hand to give rides in their miniature train as well as Fearless Fred, Iola’s trolley that will take you on free Christmas Lights tours (sponsored by Personal Service Insurance). Thursday nights in December are entertaining and hot cocoa and cookies will be served by different businesses and organizations. And bring your pocketbooks! The stores downtown stay open late, for all your Christmas shopping needs! After the visit to the Santa house, you and your child can experience the sights and sounds of the season at no cost. The trolley and the train run about every 15 minutes, and will take you around the square to see a few lights. Take advantage of all of these special treats offered at Christmas. November 29, 5:30 - 7 p.m.